In May 2010, cities in Greece became battlegrounds between furious anti-austerity demonstrators and riot police. Flames from petrol bombs lit up the streets, tourists were stranded as flights were grounded and the Acropolis was stormed by thousands of protestors. After several years of harsh government cuts which were attempting to stabilise the Greek economy after a fudged eurozone entry, the country was teetering on the edge of bankruptcy. Public sector workers’ pay was frozen, taxes rose, public services were cut back and pensions were threatened. The crisis continued for eight more years, becoming the most severe economic depression faced by a developed country – worse even than the US Great Depression of 1929-39. Youth unemployment hit a peak of nearly 50% in 2013, wages fell by 35% and, at one point, more than one-third of the population was considered to be at risk of poverty or social exclusion. While the violent protests hit the headlines around the world, another type of resistance was more quietly taking place. People started talking about solidarity, about new ways to trade and about the concept of a social economy. Some of them founded timebanks – systems to exchange voluntary actions for other resources, some bartered fruit and vegetables, others developed clinics staffed by volunteers and funded by donations. This movement, which was particularly active between 2008 and 2011, led to what is today a young, optimistic and developing group of social enterprises, cooperatives and other similar organisations; in Greece these are collectively known as the social and solidarity economy. And this movement is backed by the government. Antonis Vorloou, the Greek social and solidarity economy special secretary, tells Pioneers Post that development of the social economy is a government priority “as it contributes to inclusive economic development while combatting unemployment and social exclusion and advancing the democratisation of work and production”. In May, the British Council published the Greece Social and Solidarity Report. It gives the fullest picture to date of the growing movement of organisations in this sector and highlights the challenges they face as well as the current support on offer. 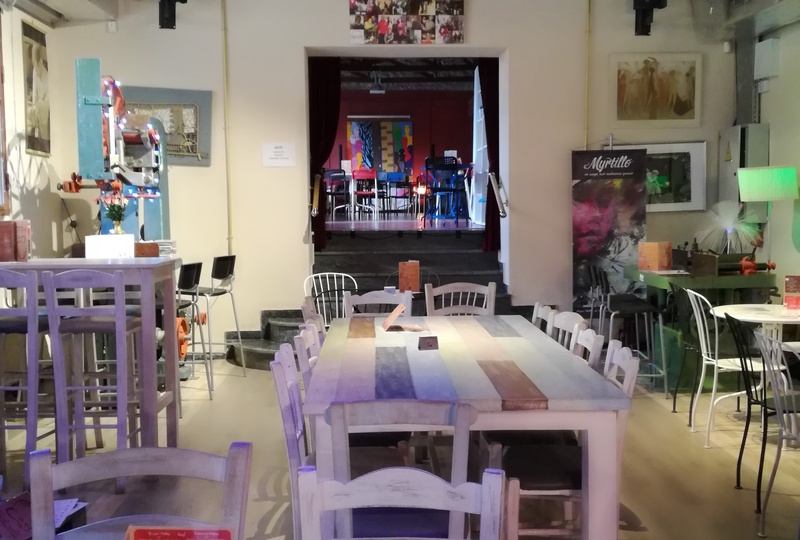 The report, written by Greek non-profit European Village and Social Enterprise UK for the British Council, points out that the sector in Greece is currently significantly underdeveloped in relation to other European countries. The majority of organisations are recently established, still small and facing challenges to their sustainability and growth. However, the organisations are beginning to help to tackle some of the country’s most significant social challenges, especially poverty and unemployment, while also promoting alternative business models that incorporate social benefit alongside their economic activity. The researchers found that the current challenging economic and social landscape in Greece is viewed by these organisations as a reason why a stronger sector is needed “in order to create new opportunities, address unemployment and establish new economic and entrepreneurial models in areas where mainstream paradigms have failed”. • There are approximately 1,500 social and solidarity economy organisations in Greece. • Around 600 active social and solidarity economy organisations, according to the official government registry (which is currently undergoing a transition). • Hundreds more organisations with different legal forms and informally constituted organisations. • 68% were established in the last five years. • 74% have an annual turnover of less than €50,000. • Most operate at local and regional levels. • 78% focus on addressing unemployment. • 68% expect to increase their turnover in the next 12 months. • More than 90% believe that the sector has the potential to grow in their industry and in their geographical area. • Access to appropriate finance is the biggest barrier to sustainability and growth. • 35% are led by women. • 41% of leaders have a postgraduate or doctoral level of education. • Establishing a national centre to support the social and solidarity economy in Greece. • Creating a communication and awareness-raising strategy to promote the movement. • Providing start-up seed capital as grants or loans to emerging enterprises. • Convening a social finance task force to identify alternative forms of finance. • Importing and adapting proven specialist learning programme models. • Providing training in social impact measurement. 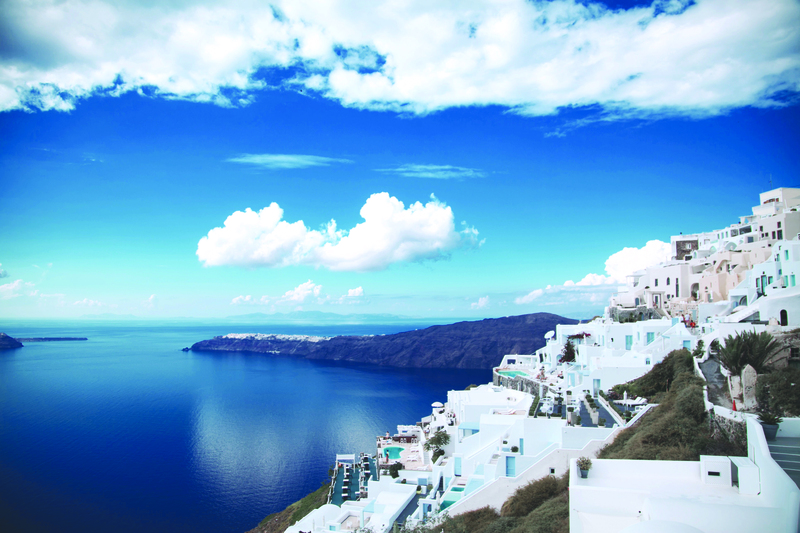 After eight years of crippling recession, Greece is perhaps now beginning to turn the corner. On 30 April 2018, OECD secretary general, Angel Gurría launched the 2018 OECD Economic Survey of Greece. He pointed out that the Greek economy was growing (GDP expanded by 1.3% in 2017 GDP is expected to grow to 2% in 2018 and 2.3% in 2019) and unemployment was declining. However, Gurría went on to emphasise that huge challenges remained. The OECD report points out that although poverty has stabilised, it remains at an all-time high in households with children. What’s more, even though more people are in work, low wages mean that many of them remain in poverty. The spectre of unemployment has not disappeared: in 2017 remained at 21% and youth unemployment was 45%. When speaking about a new type of economic growth, Gurría probably didn’t have Greece’s social and solidarity economy organisations in mind, yet they are beginning to demonstrate a new approach to doing business. A handful of organisations existed before the economic crisis. Co-operatives have existed for a long time, particularly in farming, and some enterprises employed people from vulnerable social groups. One of the most well-known of these is the Social Cooperative of Dodecanese which in the 1990s transformed an asylum on the island of Leros into a business that employs people with mental health issues to work in farming, making sweets and pastries, and honey production. However, the research shows that the economic crisis catalysed a sudden growth in the movement. Numerous new organisations appeared – mostly informal entities that operated outside the conventional market economy, such as timebanks, social centres, food redistribution schemes and urban community vegetable gardens. Alongside these, co-operative enterprises multiplied as people sought alternative models of labour, working together to take control of their conditions and pay. Kastri restaurant on the island of Syros, for example, was formed in 2000 by a co-operative of unemployed local women and prides itself on serving high quality, traditional food. There is also enthusiasm for tech-focused social innovation projects. At the end of March this year, CommonsFest was held in Heraklion, Crete. The event brought together digital-focused co-operative ventures from all over the country. After three days of working together, they agreed to continue to collaborate in a network to strengthen their contribution to Greek society. The research shows, however, that there are not yet many organisations operating according to the “Anglo-American model” of social enterprise where money is earned through trade, outside of a co-operative system, and profits are channelled into social goals. One example though is The Shediart Upcycling Project which transforms unsold copies of the Greek version of The Big Issue, Shedia, into decorative items such as lampshades and clocks. The project aims to create education, training and employment for people who are homeless or who are suffering poverty as well as encouraging their social integration. The first group of participants were Shedia vendors over the age of 50. The Greek constitution of 1864 gives citizens freedom of association, and several laws relating to co-operatives have been passed since then, including a clutch of sometimes confusing regulations during the 1980s and 1990s. However, the most significant laws relating to the social economy were passed in 2011 and 2016. In 2011, law 4019/2011 defined social economy and social co-operative enterprise in Greece for the first time as well as introducing a government registry for these organisations. • Takes part in economic and/or entrepreneurial activity. • Has a clear social purpose. • Is independent and democratic in governance. • Reinvests profits, distributes part of them to employees and/or channels them to social goals rather than distributes them to stakeholders. • Is based on collective action. Perhaps an unintended consequence of the 2011 law was that the sector suddenly mushroomed with many organisations registering simply to access new state subsidies associated with these new legal structures or to test out with the new system while taking little financial risk. 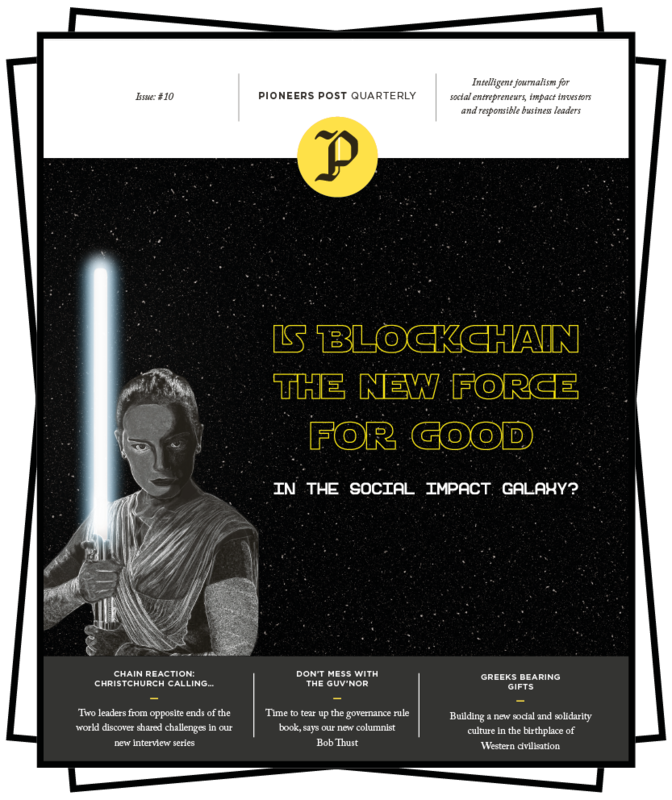 Ionnis Nasioulas, founder and director of Greece’s Social Economy Institute, wrote recently that the 2011 law created a “social business sector is nothing but words, with no social impact created or employment generated in a setting that is desperate for social innovation that delivers”. The research, however, recognises that many organisations that were set up in the first wave of excitement surrounding the new law have now ceased their activity, or were never active in the first place. The final estimate of there being around 1,500 social and solidarity economy organisations endeavours to filter out those that are inactive or irrelevant. Although recent years have also seen a rise in support bodies for the movement, including branches of Ashoka and Impact Hub, there are still significant challenges. In spite of the fact that many survey respondents were optimistic about their future growth, the researchers noted big hurdles to overcome, including bureaucracy, a lack of awareness about the sector’s work, poor commissioning and procurement from the public sector and a lack of appropriate finance. The Greek government is keen to offer support and Antonis Vorloou highlights to Pioneers Post that he has introduced an action plan to support the development of the social and solidarity ecosystem running from 2017 to 2023 with a budget of €170m. The money will be used to establish up to 100 support centres across the country, as well as providing grants, different types of loans and loan guarantees. Vorloou also points out that a national exhibition, the Social Economy Expo was held in Athens in November 2017 to raise the profile of the sector and that it is something that the government is keen to repeat every year at a local and national level. 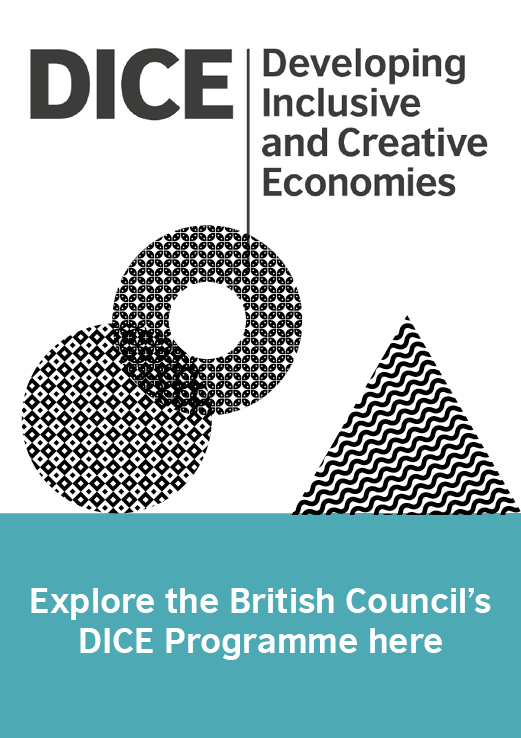 The British Council too is supporting the sector in partnership with local authorities and other organisations, offering investment readiness support for social enterprises as well as training and opportunities for networking. It has also launched a social enterprise schools programme with HSBC called LifeSkills: Developing Social Entrepreneurs that will provide training to 20,000 young people by 2020. In addition, the British Council has partnered with the Ministry of Labour Affairs and the EU to deliver a technical assistance programme (of which the survey is an element) designed to support Greek policymakers to implement the government’s national strategy for the social and solidarity economy in Greece. This includes the design of training schemes for ministry officials and support centres staff that will ensure the implementation of the new national strategy and the development of a social impact measurement self-assessment tool in partnership with Social Value UK. In spite of these initiatives, the special secretary emphasises that a big cultural shift is still needed in Greece. He points out that the sector is at an early stage of development with regional disparities between urban and rural areas, and adds: “Creating a supporting environment for the development of the social and solidarity economy is a necessary but not a sufficient condition in itself. Perhaps the key element for the sector to develop is that underlying culture of solidarity and giving to the community, as opposed to the pursuit and securing of individual benefits. 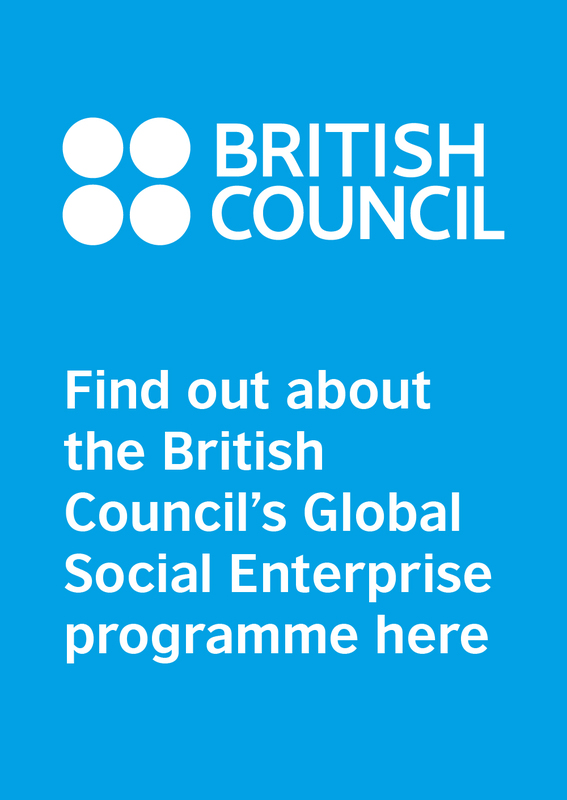 The British Council runs a programme called Life Skills: Developing Social Entrepreneurs for students in Greece. This year’s programme concluded with a competition for students to submit their ideas for social enterprises that solve social, environmental or cultural problems in their communities. In May, 70 students in the ten best teams pitched their ideas in front of a jury and audience. Maria Nomikou, the British Council’s society lead in the EU region, says the event was full of “excitement, fun and brilliant, innovative ideas”. First prize went to an idea for a social enterprise that aims to raise the awareness of the medical use of herbs and healing plants on the mountain of Olympus. 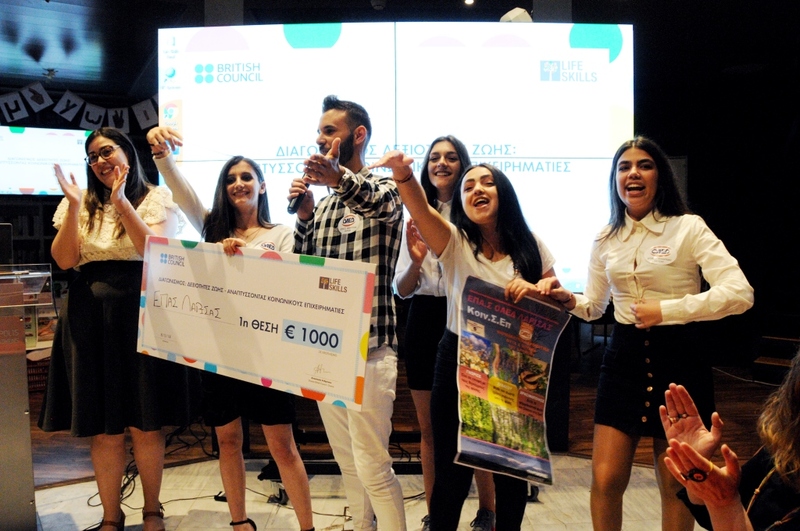 Second place went to a social enterprise that would introduce the general public to the Roma culture through tourism with the aim of combating racism. And the third prize was awarded to a plan to rebuild an abandoned municipal swimming pool and cafeteria to provide access to sport and entertainment in an isolated area as well as providing jobs for the most vulnerable members of the community. Myrtillo is a café and arts centre which opened in autumn 2013. It’s a co-operative, and 90% of the people who work there have disabilities. We spoke to board member George Apostolidis about the journey so far. Why did you open Myrtillo café? Myrtillo was created by the need to provide jobs for people with disabilities to live with independence and dignity as equal citizens in society. We took one step further and included our employees in the cooperative as full members in order for them to feel responsible co-owners. The founder, Georgia Rafan, was inspired by the Engine Shed café and bakery in Edinburgh where her son was trained [which has now closed]. However, that company operated under different terms and had a large state grant. In Greece, when Myrtillo was founded, there was no similar example from which to gain information and knowledge, which meant that the team had to improvise a lot. How does Myrtillo earn its money? We aim to be self-reliant and self-sustaining. We have received no grants other than the standard grant for social security contributions of people with disabilities for the first three years. We have also had a free four-year allocation of buildings by the municipality of Athens. Are you earning enough to survive as a business? No, but there is continuous improvement, especially since 2016 when we moved into buildings which are provided to us for free by the municipality of Athens. Would you like to see more organisations develop in the social and solidarity economy in Greece? Do you think that organisations like this can help to make Greece a better place? Yes, of course, that’s why we have joined Dynamic Union, which is a joint venture of social cooperative enterprises in our region of Attica. The Greece Social and Solidarity Economy Report published by the British Council is one of a collection of reports which map social enterprise around the world. This feature was first published in Pioneers Post Quarterly, issue 10. Subscribe here. In the second part of our look at east Africa, we consider Tanzania. Well known to the world because of its natural splendours, there are still numerous challenges for social entrepreneurs to tackle. Support for social enterprise is growing fast in the host country for this year’s Social Enterprise World Forum. Islay Rackham of Kilmarnock Enterprises and Helene Malandain of the Åkina Foundation are our guides.